President Obama is leading the charge by having the Environmental Protection Agency issue regulation after regulation targeting coal-fired power plants. Now billionaire and former New York City Mayor Michael Bloomberg is adding his significant financial weight in an effort to kill the coal industry. Bloomberg recently announced Bloomberg Philanthropies is donating $30 million to the Sierra Club’s anti-coal campaign. 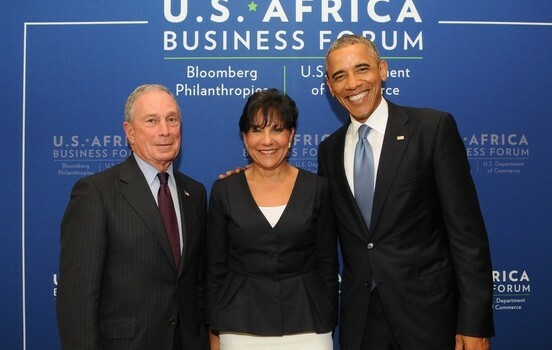 Bloomberg’s latest donation adds to the $50 million he gave to the Sierra Club in 2011. According to the Sierra Club, its Beyond Coal grassroots campaign is responsible for closing 187 coal-fired power plants in the U.S. and with its new funds, its goal is to shut down half of the remaining units by 2017. The impact of the progressive mob’s anti-coal effort is causing massive transformation in the way electricity is generated. In 2014, 39 percent of electricity was from coal, down from 49 percent in 2007. The drop in coal use has caused a loss of 50,000 jobs in the coal industry from 2008-2012, billions of dollars in losses in market capitalization of coal mining stocks and two bankruptcies. No industry can survive the combined assault of the progressive mob. Taxes typically serve two purposes: to raise revenue, the most straightforward and the only one intended by the Constitution, and the more sinister purpose of shaping the behavior of others. This second use has been increasingly favored by progressives who are now using the term “nudge” to describe pushing people to do what they want by making the alternatives more expensive. Ex-Mayor Michael Bloomberg has been the champion of this technique, aggressively pushing New Yorkers to stop smoking, stop eating trans fats and stop drinking sodas of 16 ounces or more. Marine veteran, Jimmy Rose, hit the stage last week for a performance on the hit show America's Got Talent, belting out an original country tune that eloquently humanized an industry that has been a way of life for his family and friends. The song was titled, Coal Keeps the Lights On. By singing about keeping the lights on, Rose cast a spotlight on the Obama administration's War on Coal, and by extension, a war on the very types of people Rose is singing about.